I mentioned in a post earlier this week that I'd be back to share some more award winners. This time we're going to focus on picture books, chapter books, non-fiction, and teen lit that garnered three major American Library Association 2015 awards. In addition, we'll take a look at medal winners designated by the Association of Jewish Libraries. 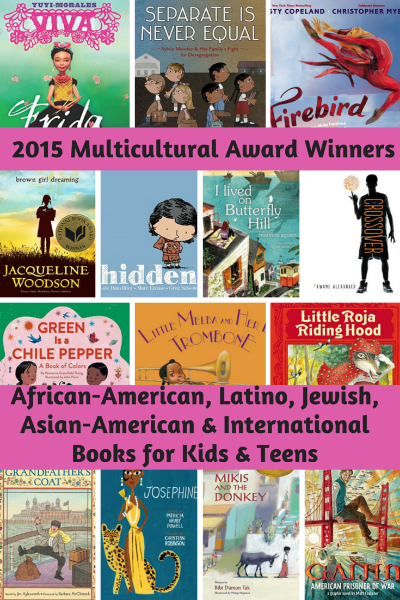 All of these awards are reserved for books that portray the African-American, Latino, Jewish, and global experiences. It also happens to be my turn for the Multicultural Kid Blogs Global Pick of the Day, so the awards came at a great time! Now, in case you're wondering why multicultural children's books are so important, take a look here. Then read on below to find great titles you don't want to miss! given annually to outstanding African American authors and illustrators of books for children and young adults that demonstrate an appreciation of African American culture and universal human values. The award commemorates the life and work of Dr. Martin Luther King, Jr., and honors his wife, Mrs. Coretta Scott King, for her courage and determination to continue the work for peace and world brotherhood. Brown Girl Dreaming pretty much cleaned up on awards this year, and for good reason. 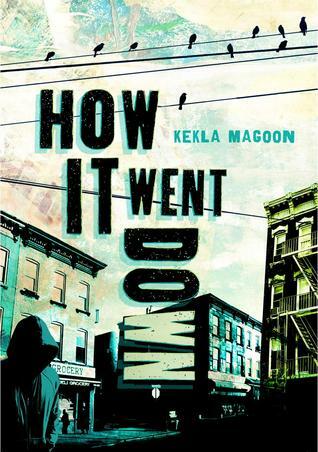 In addition to the Coretta Scott King Medal, it earned the National Book Award, a Newbery Honor Award, and a Sibert Honor Award. Read my review of this beautiful novel here. Reynolds' lively and engaging portrayal of urban teenage boys is a compelling story about neighborhood, family, friendship, values and the acceptance of difference. Living in an underserved neighborhood in Brooklyn, Allen/Ali befriends Noodles and his brother Needles, who has Tourette Syndrome. In an authentic contemporary voice, Reynolds focuses on the importance of family, the acceptance of responsibility and the obligations of friendship and portrays a likeable teenager learning how to be a good man. vibrant lines and colors (which) mirror the movement of Copeland’s “Firebird." 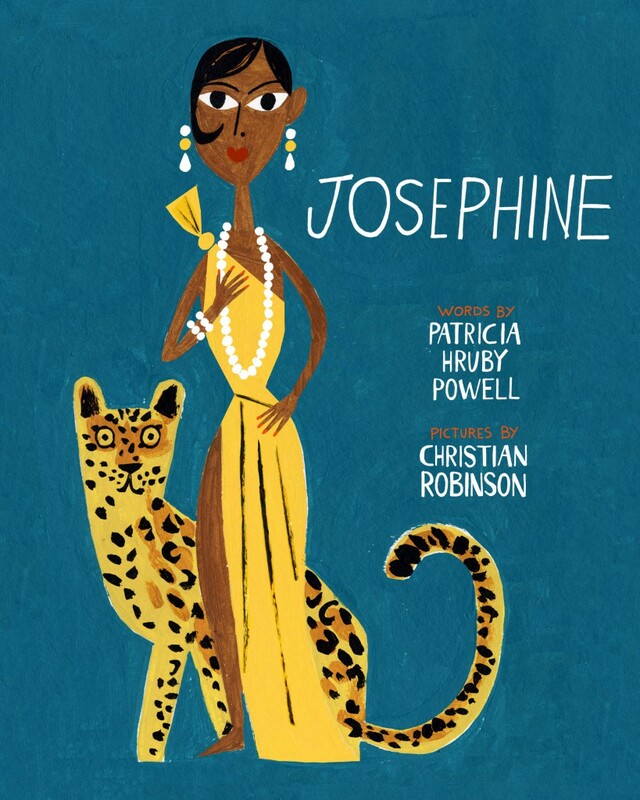 Encased in gorgeous collages and endpaper, balletic poses, leaping and bounding into the air at tremendous heights spur the imagination and inspire a young girl’s hopes and dreams. 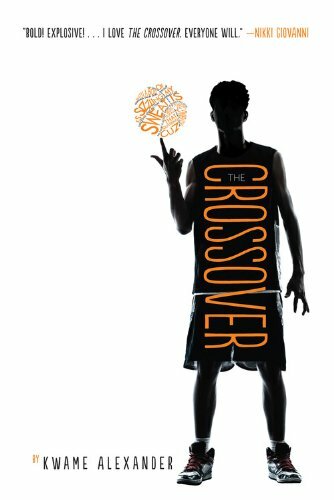 Doesn't Christian Robinson's rendition of the Charleston just jump off the page? And how cool is it that all three of the Illustrator Awards went to books about women in the arts? 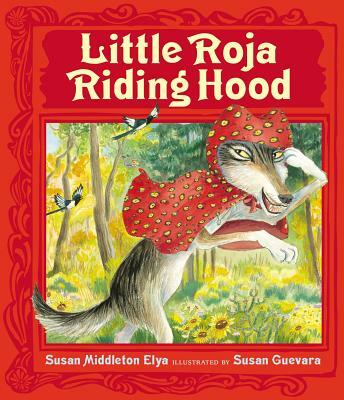 presented annually to a Latino/Latina writer and illustrator whose work best portrays, affirms, and celebrates the Latino cultural experience in an outstanding work of literature for children and youth. When warships appear, in “I Lived on Butterfly Hill,” Celeste’s idyllic life is shattered. As people disappear, Celeste’s parents go into hiding, and she is sent into exile. When she returns home, she works to reunite people she loves and to move her country forward. 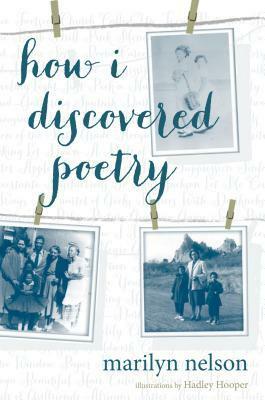 Lyrically written by acclaimed poet, Marjorie Agosín, this Chilean story offers a refreshing perspective on resiliency. With her poet’s eye, Marjorie Agosín gives this tale of exile and return an epic feel. Though she is a refugee, Celeste learns she belongs anywhere there are things she loves. Juan Felipe Herrera celebrates the lives of 20 Hispanic people who up to now have been in the shadows to many despite their significant contributions to American society. These poignant biographical sketches succinctly present the essence of each hero’s life and legacy to the future generations of their culture. And if you're not familiar with Raúl Colón, he's an award-winning picture book artist worth checking out! “Viva Frida” uses rich, vibrant color photographs and minimal evocative text to beautifully portray the unique imagination and creativity of an iconic Latina artist. Morales blends a wide variety of mediums - stop-motion puppets, acrylic paints and digital manipulation - to create a whimsical picture book that will inspire your artistic sensibilities. “It’s Yuyi, what more can you say?” said Pura Belpré Award Committee Chair Tim Wadham. “Her multi-media illustrations take the reader on a journey straight into Frida Kahlo’s artist’s heart and creative soul. Viva Frida is one of those rare picture book that can be enjoyed by kids of all ages, and even adults. 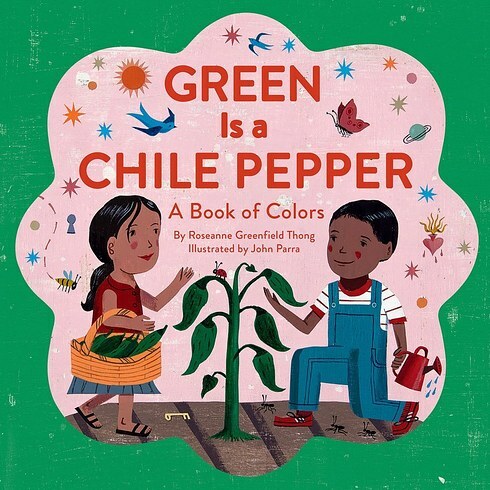 Green is a Chile Pepper: A Book of Colors by Roseanne Greenfield Thong and John Para (ages 3-8), which I reviewed here. 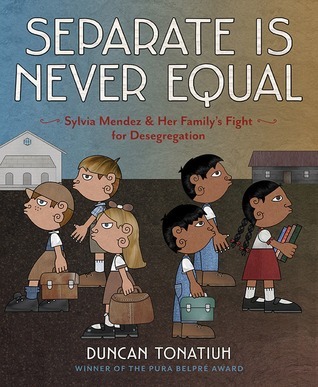 Separate is Never Equal: Sylvia Mendez and Her Family's Fight for Desegregation by Duncan Taonatiuh (ages 7-10). This one also won a Sibert Honor medal. I reviewed it here. 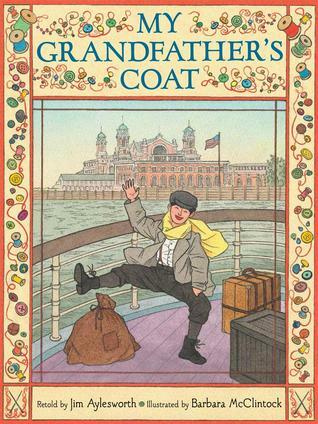 the most outstanding children’s book originally published in a language other than English in a country other than the United States, and subsequently translated into English for publication in the United States. Mikis’ simple, quiet life on the Greek island of Corfu is upended when his grandfather surprises him by buying a donkey. During the following year, Mikis’ adventures with the donkey show the village what it means to care for one another. This charming book has remarkable depth. 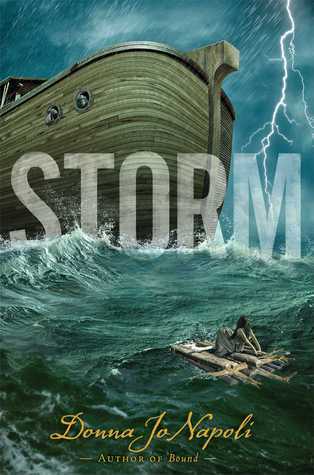 Vividly set in a tiny island village, the universal themes will be relevant to all readers. 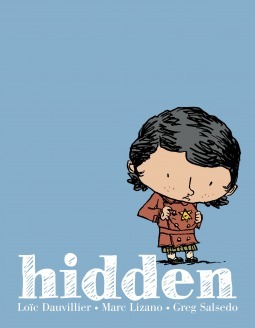 In this evocative graphic novel, a grandmother recounts her childhood experiences hiding from the Nazis in World War II France. Surrounded by cruelty, Dounia also benefited from the exceptional kindness and courage of her protectors. The telling of her story to her grandchild brings healing and hope. 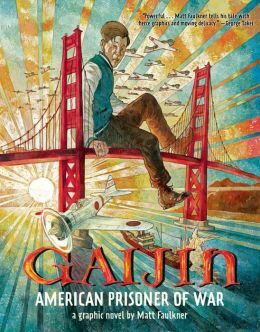 This subtle but powerfully illustrated graphic novel will capture readers with its gripping account of heroism in the truly dire circumstances of the Holocaust. In this intricately plotted book, Fing’s loving but fractious family moves into a new house outside of town and gradually discovers a “tragical tragedy” concerning the mysterious man living in the hedge. 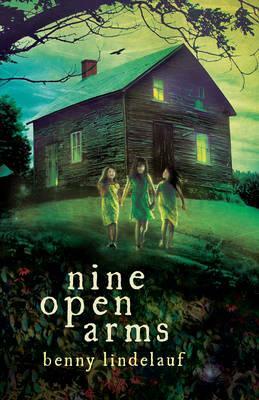 Combining elements of historical fiction, mystery and magical realism with large doses of humor, this book enthralls. 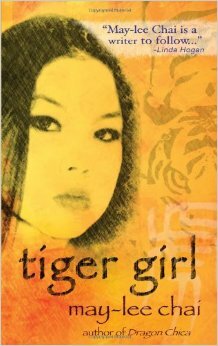 Readers will be enchanted by the indelibly drawn characters, the rich language and the interwoven narrative. I'm so excited to see My Grandfather's Coat win this medal! 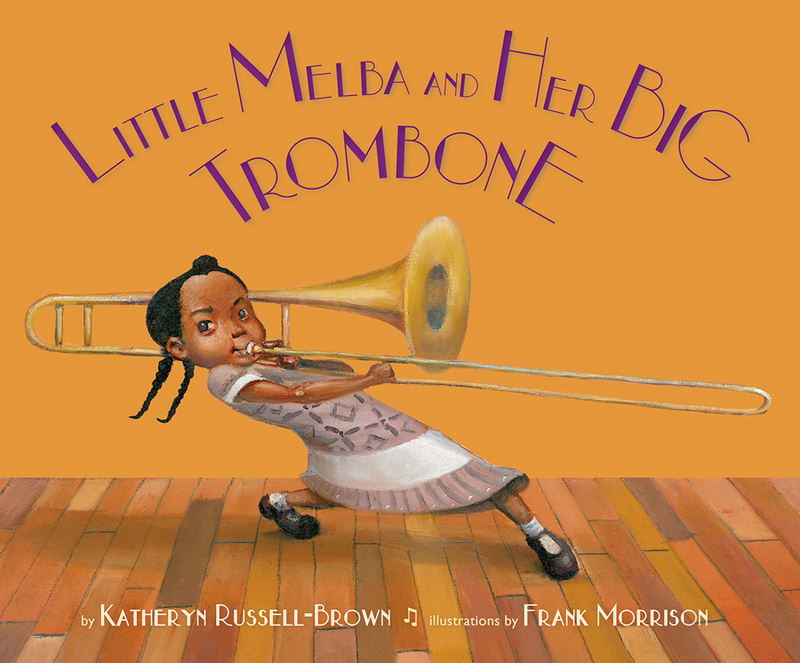 It was one of my favorite picture books published last year, and you can read why here. 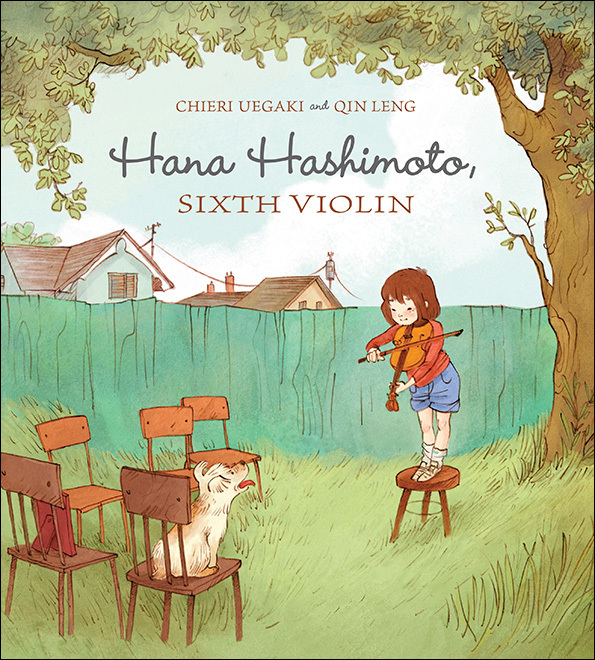 I bought Hana Hashimoto, a lovely picture book, as a gift for my daughters' violin teacher this past Christmas, so I'm thrilled to see it win this award!